Consulting Engineers South Africa is pleased to announce that Ms Lynne Pretorius has been appointed as its Deputy-President. She is a professionally registered engineer that holds a B.Sc Eng (Civil), M.Eng (Transportation). Her professional experience includes a working knowledge of the public sector environment (local Government) as well as private sector involvement as a transportation engineering consultant. Approximately 17 years of project planning experience and problem solving skills in the transportation planning/engineering arena. This includes work on various local and national projects within South Africa. Ms Pretorius has developed extensive experience over the last 20 years in the field transportation engineering. Her fields of expertise include non-motorised transport planning and implementation, public transport planning including operations and infrastructure, traffic engineering, transportation impact assessments, integrated transportation planning. 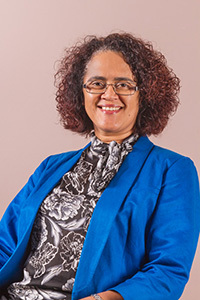 With a background in the private sector, as well as the public sector (City of Cape Town 2000-2004), she started a private transportation planning and engineering practice, Pendulum Consulting, in 2004. In 2012 Pendulum Consulting was incorporated in ITS Engineers and Ms Pretorius is currently a Director of ITS Engineers, a transportation planning and engineering consulting firm based in Pretoria and Cape Town. She also regularly acts as an external examiner for NMT-related courses at the University of Cape Town and the University of Stellenbosch.